Should you put the lime in this coconut? You just may want to try with our Coconut Joy, which is a blend of soft, creamy coconut bits and natural coconut flavors added to our premium estate Ceylon black tea. 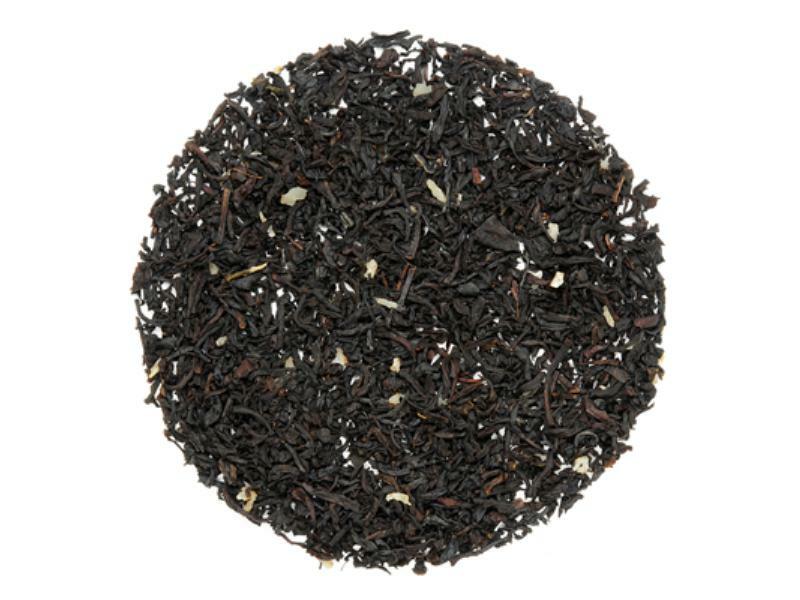 Typically, black tea is flavored with lemon – who says you can’t go a little nutty? Be bold; try it with a lime! Share your new found joy with a tropical-themed tea party! Don’t forget to don your coconut shells and grass skirt! Aloha! This is a really tasty tea: very richly flavored with a sweet, natural-tasting coconut essence. It leaves that sweet sort of creamy feeling in the mouth, similar to the texture and sensation that occurs in the mouth after eating coconut. The black tea is a bit milder than I expected. It has a slight bitter aftertaste to it that sits on the tongue. It is very slight, though, and isn’t really off-putting, and even cuts through a bit of the sweeter notes of the coconut. Other than the slight bitterness, the black tea taste melds very well with the coconut: coconut and tea become a deliciously unified flavor. This tea is delicious hot (try it latte with a splash of milk … or try a little coconut milk for an extra special treat! ), and it is also very good iced.